What would you put in your self-care first aid box? Anxiety can leave us feeling emotionally and physically overwhelmed. To help deal with this, you can create your own self-care first aid box. We would ideally be surrounded by family and friends whenever we start to feel anxious, sad or are in a crisis. But in reality our loved ones will be busy with their own lives, so we need to find an alternative way to soothe ourselves in these times of need. 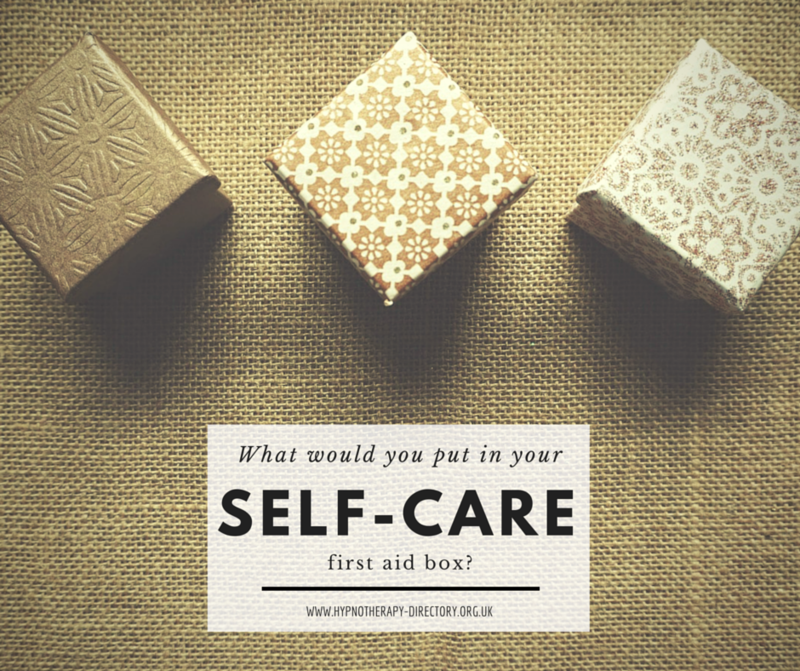 There are a variety of methods you can employ to calm or distract yourself, but in this article, we will discuss the creation of a self-care first aid box and what sort of things you can put in it. First thing you will need to understand is that everyone’s self-care box will be different! Depending on your personality, hobbies and experiences, the items you keep in the box will be personal to you. An old iPod and put a playlist full of songs I grew up listening to. This will provide me with positive, nostalgic feelings that will hopefully cheer me up. A magazine that I’ve never read before – I would probably have to keep this updated on a monthly basis to keep it relevant. A series of motivational postcards. Sometimes a bit of motivation is all I need to move forward! A journal to write down all of the things that are causing me to worry. I’ve found journalling really helps me to overcome a lot of problems that tend to crop up in both my personal and professional life. A face mask and nail varnish for a pamper evening. This is perfect after a long day at work! An inspiring book or my favourite movie would also have to be in there. There’s nothing like a bit of uplifting escapism to help me wind down. A stock of teabags, biscuits and my favourite mug. A cup of tea with some nice biscuits is always a welcome, calming treat. Comfortable and cosy clothes are a must. Being comfy is key to relaxation. My dog. She won’t fit in a box, so I would bring the box to her! Here are our ideas of what to put in a self-care first aid box. What would you put in yours? Let us know in the comments below.